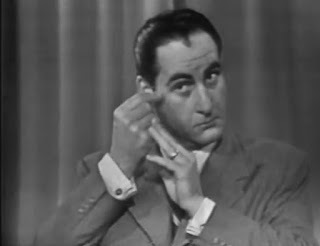 The late, great comedian Sid Caesar, was a master at pantomime, and used it to great acclaim on his TV shows, Your Show of Shows and Caesar's Hour. We are fortunate that an anonymous poster found some vintage clips of Caesar in some of his most famous routines, including this 7-minute solo sketch of a woman getting dressed. The most brilliant Mr. Caesar. We shall never see his like again!